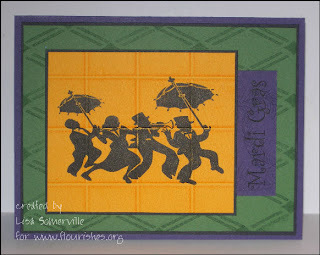 Here's a couple of cards I created using some new images from Flourishes. 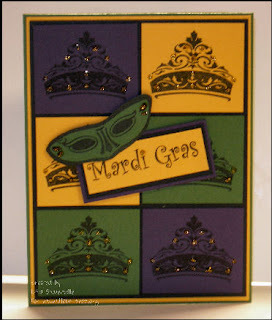 Oh my gosh, those Mardi Gras cards are adorable, I love those little crowns, colors are great. I do believe I need a balcony, large drink and some beads! These are so beautiful!